As recently as the 1970s, only a small number of children with disabilities were educated in public schools in the U.S. The Individuals with Disabilities Education Act (IDEA) changed the landscape significantly in 1975, mandating states accepting public funds for education to provide special education services to children with disabilities. The 40th anniversary of IDEA last year marked decades of national progress toward equal opportunity for children with exceptionalities. 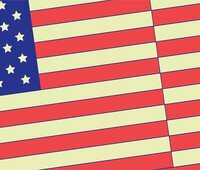 However, issues remain in the provision of special education in the U.S. 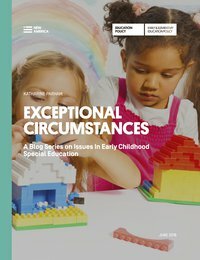 In the brief, Exceptional Circumstances: Issues in Early Childhood Education, New America explores three key issues facing young children with exceptionalities and their families. First, the brief explores the role that complex funding streams play in the provision of early childhood special education. While Congress is authorized to provide up to 40 percent of the average per-pupil expenditure for children with special needs, according to some estimates, in most states federal funds account for an average of only 16 percent of costs. This funding gap creates an unnecessary tension between the provision of legally mandated services and the money needed to support those services. Second, the brief addresses the rarity of inclusion classrooms in early learning settings, despite overwhelming evidence about their benefits for all children. Research has shown that establishing a “degree of belongingness” through inclusive environments sets children’s expectations for all future relationships, impacting how they will live and work in their communities later in life. Finally, the brief calls for early childhood screenings as a lever for altering the life trajectories of children who would benefit from additional supports beginning at the earliest possible age. As many as one in four children from birth through age five are at risk for developmental, behavioral, or social delays, and the Centers for Disease Control and Prevention (CDC) further notes that one in every 68 children in the U.S. has been identified as having an Autism Spectrum Disorder. Many exceptionalities can be identified as early as two, but most children are not identified as having special needs until after age four. On the recent anniversary of IDEA, former U.S. Secretary of Education Arne Duncan said, “Together, we can, we will, and we must transform education for every one of our students.” Addressing these urgent issues for our youngest and neediest learners is a must.